Paper Culture – $10 for $40 worth of paper goods, stationary, and wall art. Shipping not included. Virtual Nerd – $12 for a 5-week online math boot camp for middle schoolers. Includes Pre-Algebra, Algebra I or II, and SAT or ACT Math. Zoobooks – $15 for a 1-year subscription. Includes a poster and stickers. Incase – $35 for $70 worth of backpacks or other bags. Shipping is free. 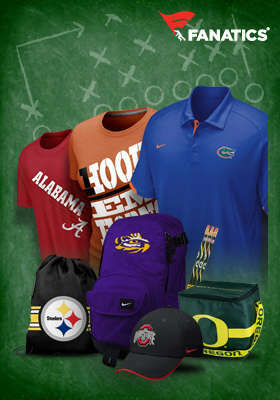 Fanatics – $10 for $20 worth of sports merchandise. Shipping not included. InkGarden.com – $20 for $60 worth of customized t-shirts, travel mugs, fleece blankets, stationary and more. Shipping not included. FreckleBox – $20 for $40 worth of customized gifts for kids. Shipping not included. ConnectMyDNA – $29 for a DNA Self-Discovery Kit. RedEnvelope.com – $15 for $30 worth of custom kids toys, gifts and apparel.